You do not have to buy a large and bulky laser rangefinder to get accurate and reliable measurements when on the course. A compact and lightweight one like the ProMini Range 750 still works fine and is even more reliable than many other large ones. 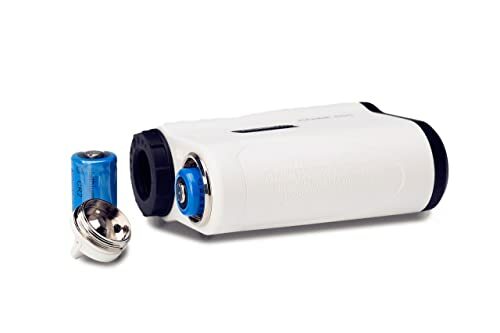 It is a highly accurate rangefinder that can measure up to 750 yards, and it also features 6X magnification and a long-lasting CR2-3V lithium battery. Range: With this laser rangefinder you can target between 3 and 700 meters and 3 and 750 yards. This rangefinder is more than enough for most golfers. And it is also a highly accurate device that provides an accuracy of +/- 0.2 yards for distances between 3 and 150 yards and +/- 0.5 between 150 and 750 yards. Light Penetration Rate: The fantastic light penetration is one of the features that set the ProMini 750 apart from the many other rangefinders in the market. It uses a powerful laser that can cut through the fog and so it will work well even in inclement weather. Lightweight and Compact: You will hardly feel any weight or even notice this rangefinder when carrying it around the course. It is a lightweight device that weighs only 145 grams, and it comes in a compact design with dimensions of 89 mm x 37 mm x 73 mm. Magnification: Despite its small size this rangefinder will still offer an impressive 6X magnification which will be handy when measuring distances on the course. There are many merits that you will get from using this rangefinder, but accuracy is one of the main ones. With this laser rangefinder, you can always be sure of an accuracy of +/- 0.5 yard. Another benefit of using it is that it is small and lightweight to make it easy to carry around the course. It is one of the most reliable and accurate laser rangefinders. High light penetration ensures that you can use it even in inclement weather. Extremely quick in measuring the distances and you will get results in seconds. The small and lightweight construction makes it convenient to carry around the course. 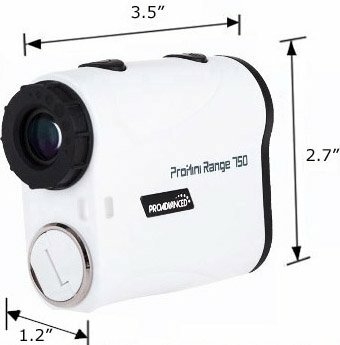 This rangefinder is waterproof to make it suitable for use in all weather conditions. You can toggle the measurements between yards and meters. It has an automatic switch off function to preserve the battery. It does not have a club selector feature. Since it is a relatively new rangefinder, you cannot be sure of the durability. Being able to get accurate distances when on the course makes a huge difference for a golfer and it can have a significant effect on your scores. And with a laser rangefinder, you can have all the distances that you need. But no golfer wants to walk around with a weighty laser rangefinder, and so a lightweight like the ProMini Range 750 is an excellent choice for any modern golfer that wants to improve scores. Also, the high level of accuracy and speed when measuring distances makes it an even better device that you can always rely on when on the course. This rangefinder is also one of the few that have almost no shortcomings at all. 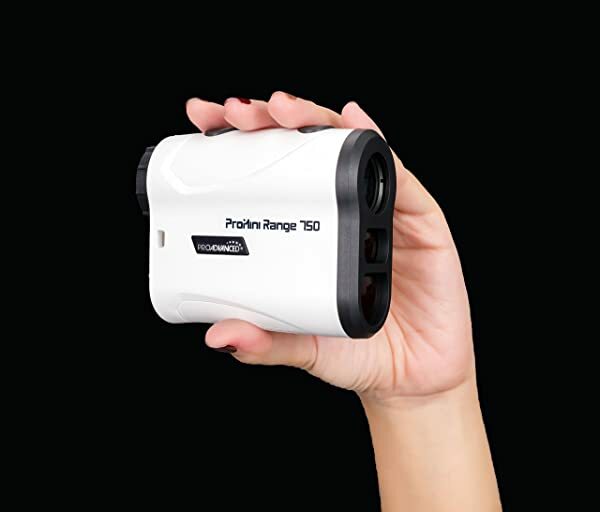 Any golfer out there that is looking for a reliable and easy to use laser rangefinder should try the ProMini Range 750.